Greg Bird, who was ranked the #4 prospect by Baseball America in the Yankees organization after the 2014 season, was called up from Triple-A this afternoon. Relief pitcher Nick Goody has been sent back down to the RailRiders. Since Garrett Jones was recently designated for assignment for the second time, Bird will be a back-up to Mark Teixeira at first base and be able to give Alex Rodriguez days off at DH. Teixeira has a .175 average in 12 August games and Rodriguez has a .162 average with two RBIs in his 12 games in August. This proves that they need more days off until they can figure out their swing. Bird was the Yankees 5th round selection back in 2011 out of Grandview High School in Colorado. Bird is definitely capable of being productive offensively based on his stats in the minors. He hit .277/.356/.469 with 12 homers and 52 RBIs in 83 games combined with Double-A Trenton and Triple-A Scranton this season. He had a .258 average with Trenton but was called up to Scranton after improving his average. In 34 games at the more challenging Triple-A Scranton level, his .301 average with six homers and 23 RBIs proved that he was ready to try to help the struggling major league offense. The Yankees, who are 61-51 and a game behind the Toronto Blue Jays in the AL East, have lost six of their last seven games and have only scored nine runs in those seven games, which proves that it was time to call up their top Triple-A first baseman. This is the lineup for tonight’s series finale against the last place Indians. The Yankees only made one trade before today’s 4 p.m. trade deadline. 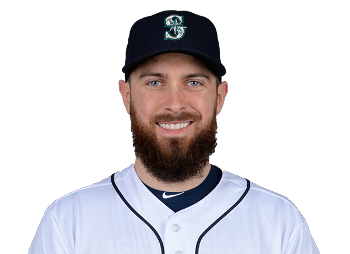 On Thursday, the Yankees acquired Seattle Mariners infielder/outfielder Dustin Ackley for prospects Ramon Flores and Jose Ramirez. Joe Girardi likes the extreme versatility that Ackley brings to the team. “The guy can play five spots and that’s pretty good,’’ the manager said. 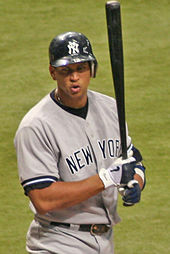 He has played first base, second base and all three outfield positions in his five seasons in the majors. He was the second overall pick in the 2009 draft and could perform much better in Yankee Stadium than he did in Safeco Park. From 2012-2014, Ackely had a .316 average in 38 at-bats with two homers and six RBIs. He is having the worst year of his his five-year career this season, but he has more upside than the players the Yankees traded. He has a .215 average in 207 at-bats with six homers, eight doubles, 19 RBIs, two steals and a .366 slugging percentage. Garrett Jones, who Ackley has better stats than, was dropped from the roster when Ackely was added to the team today. It was announced today that Luis Severino‘s next start will be with the Yankees. This is the right time to call him because Micael Pineda is now on the disabled list with a right flexor forearm muscle strain and he doesn’t have anything else to prove with Triple-A Scranton. In 11 starts this season with the RailRiders, Severino has a 7-0 record with an outstanding 1.91 ERA, 50 strikeouts and a very good 0.92 WHIP. The Yankees (57-44) currently have a 6-game lead over the Baltimore Orioles and Toronto Blue Jays for first place in the AL East. The Yankees begin a three-game series against the Chicago White Sox in Chicago in what will be the end of their 10-game road trip. The White Sox have gone 7-3 in their last 10 games to move back into contention for a wild card spot. In their last three games before the All-Star break, the Yankees will play a series from Friday to Sunday against the Red Sox at Fenway Park. The Yankees have gone 8-8 in their last 16 games, but the Red Sox, who looked like they would stay in last place a few weeks ago, have gone 11-5 in their last 16 games and have won five of their last six games. Boston (41-45) is now 5.5 games behind the Yankees (46-39) for first place in the AL East after being 10 games behind the Tampa Bay Rays for first place in the division 20 days ago. Even though the Yankees have a three-game lead over the Baltimore Orioles in the division, this series is so much more important than one would have thought three weeks ago because if the Red Sox, whose offensive has started to hit like they are capable of, sweep the series they will only be 2.5 games out of first. The Yankees are coming off of a series when they won two out of three games against the Athletics. Their starters both allowed two earned runs in their two wins over Oakland, and Michael Pineda will look to continue the momentum tonight when he takes the mount in Fenway. The Yankees offense has been much better than it was the previous two seasons, and then will look to continue to hit well at Fenway against the Red Sox pitching staff, who have the worst team ERA in the league. Pineda is coming off of a start on July 4 when he had full command of his pitches as he threw seven shutout innings at Yankee Stadium against the Rays. He has bounced back well from allowing eight runs in 3.1 innings to the Phillies on June 22, as in his start on June 28 he only allowed two earned runs in eight innings while striking out eight. Pineda has a somewhat high 3.79 ERA this season, but he has held the opposition to two earned runs or less in 10 of his 16 starts this season. The Red Sox offense has really improved recently since they have scored five runs or more in five of their last six games, which includes games where they scored 12 and eight runs. In Friday’s game, Cole Figueroa, who hit two doubles in his Yankees’ debut on Thursday, will start at third instead of Chase Headley for the second consecutive game, and Garrett Jones will get the start in right field. Red Sox starter Clay Bucholz has been outstanding in his previous four starts as he has allowed one, one, one and zero runs respectively. After winning Game 3 of their series against the Astros, 9-6, the Yankees play the Astros at Minute Maid Park at 2:10 p.m. EST in the series finale. In Saturday’s game, the Yankees had a 6-0 lead and then Masahiro Tanaka allowed two runs in the second, one in the fourth and then three in the fourth including a two-run homer by rookie Carlos Correa to tie the game. Tanaka had his second consecutive subpar performance to raise his ERA to 3.88 and is not being consistent enough right now to be considered the No. 1 starter. The Yankees won the game as a result of Mark Teixeira’s two-run double to deep left center in the eighth to score Brett Gardner and Chris Young. Chase Headley hit a solo homer in the ninth to give the Yankees an insurance run. Teixeira’s two RBIs in the eighth gave him 53 for the season, which puts him in a three-way tie for first in the American League. 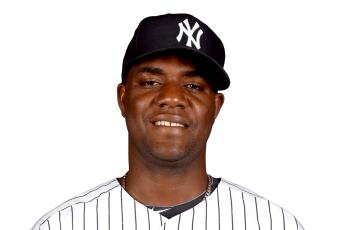 In today’s game Michael Pineda will get the start for the Yankees. He will look to rebound from his previous start as he allowed eight runs on 11 hits in only 3.1 innings. He did not have command of his slider during that start against the Philadelphia Phillies. 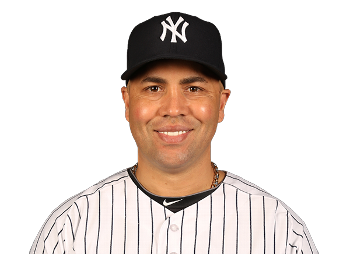 Carlos Beltran, who has a .320 average with four doubles in his last six games, will get the day off. He needs more rest days than some players because he is 38 years old. With Beltran out of the lineup, Alex Rodriguez will be the DH and Garrett Jones will get the start in right field. The Yankees lost a nail-biter to the Miami Marlins, 2-1, on Monday night at Marlins Park. Alex Rodriguez had a chance to be the hero in his hometown since he pinch hit with two outs and Brendan Ryan on first base in the ninth, but he popped up to shallow right to end the game. Rodriguez received a standing ovation before he got to home plate, but he was unable to give his fans something to cheer for. Marlins closer A.J. Ramos was pitching in the ninth inning and the increased amount of noise gave him extra adrenaline. The crowd of 33,961 — Miami’s largest since opening day — included a busload of Rodriguez’s family and friends including his seventh grade coach and kids from the Boys and Girls Club that he went to when he was a kid, as he described it. Mark Teixeira drove in the only run of the game for the Yankees when he hit a 429-foot homer to right center in the second inning off of Tom Koehler, who is from the Bronx. Didi Gregorius‘s two hits were the only other hits that the Yankees had during the game. They were 0-2 with runners in scoring position and the offense’s lack of production ruined Masahiro Tanaka’s third consecutive 7.0 inning start since coming off of the disabled list. Tanaka allowed two earned runs in his seven innings while striking out six and not walking anyone. He has had three great starts in a row as he allowed only one run in both of his previous two starts after coming off of the DL. The winning run ended up being Derek Dietrich’s homer near the foul pole off of Tanaka to right in only Dietrich’s third MLB game. Jose Ramirez came into pitch the eighth inning in relief of Tanaka in his first appearance since being called up from Triple-A Scranton and he allowed a single to Christian Yelich, hit Giancarlo Stanton and walked Justin Bour before being taken out of the game. He was not even close to the strike zone on many of the pitches that he threw. It appeared that the Marlins were set up for a big inning, but Sergio Santos came into the game and retired all three batters he faced. He got two strikeouts in a row while primarily throwing his nasty curveball and then got Adeiny Hechavarria to line out to shallow right. Garrett Jones, who was playing against the team he played for in 2014, struck out before Rodriguez came to the plate in the ninth. The Yankees (34-29), who are now a game out of first place, will look to get back on track on Tuesday night when their offense will go against David Phelps. Nathan Eovaldi (5-1, 4.13 ERA) will get the start for the Yankees, and It is an intriguing pitching matchup since Phelps and Eovaldi were traded for each other last December (Martin Prado, Domingo German and Jones were also in the trade). Eovaldi allowed a solid three runs in 7.0 innings in his last start and has a 2.92 ERA in June. On Sunday, Joe Girardi said that Alex Rodriguez will not start the two games in Miami since there is no DH in the National League, which means that he will only have pinch-hitting opportunities to get closer to 3,000 hits. He currently has 2,995 hits and is five hits away from tying Roberto Clemente to become the 29th baseball player in the 3,000 hit club. Garrett Jones will be back in the lineup in right field tonight after previously playing all three games of the series against the Baltimore Orioles. He has been a back-up this season and is playing in place of Carlos Beltran for the second game in a row. Jones, who has a .300 batting average (6-20) in his last nine games with two homers and six RBIs, will be playing in his first game against his former team. Jones played for the Marlins during the 2014 season and hit 15 homers with 53 RBIs. Mark Teixeira, who has Brian McCann hitting in front of him instead of Rodriguez, is on a five-game hitting streak with three two-hit games in his last five. This hitting streak has raised his average from .237 to .256. His 17 homers, 47 RBIs and .571 slugging percentage has given him the fourth most votes among first basemen for the All-Star Game in the American League. The Kansas City Royals players led eight of the nine positions in the American League All-Star Game voting update that was released on Monday. The one that makes the least amount of sense is that Omar Infante, who has arguably been the worst second baseman in the AL, currently has more votes than any second basemen. Brian McCann’s 1,154,530 votes are the fourth most among catchers and Rodriguez’s 1,176,506 votes are the fifth most among designated hitters. 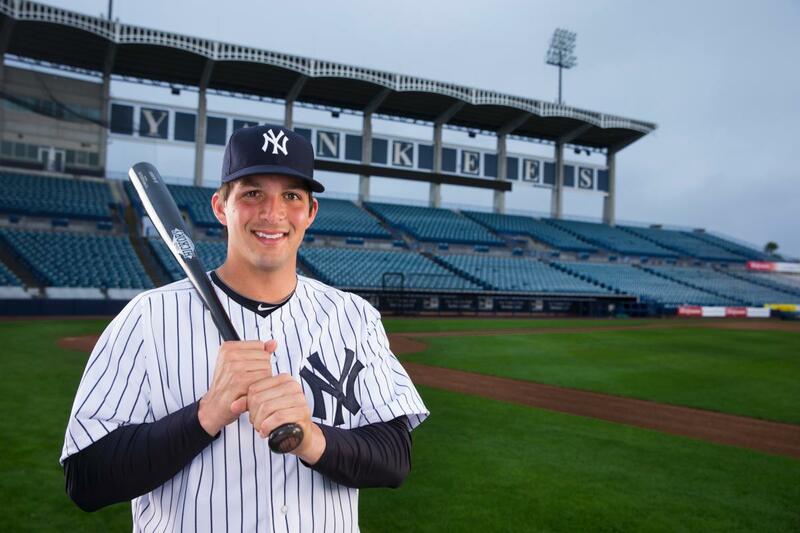 John Ryan Murphy at George M. Steinbrenner Field. The Yankees beat the Baltimore Orioles, 5-3, at Camden Yards on Sunday afternoon. They avoided a sweep as they had lost the previous two games in the series. The Yankees (34-28) are tied with the Tampa Bay Rays for first place in the AL East. The Toronto Blue Jays, who are on an 11-game winning streak, are now only a game behind the Yankees and Rays. Adam Warren allowed three runs, three walks and six hits in 4.2 innings, but he was able to rebound from allowing two runs in the first inning. After Nolan Reimold hit a single that drove in Manny Machado and Adam Jones in the first, Warren went onto retire the next eight batters that he faced. However, he was able to keep the team in the game even though he didn’t have his best stuff. John Ryan Murphy hit a 2-run double off of Manny Machado’s glove with two outs in the fifth to give the Yankees a 5-3 lead. Didi Gregorius and Stephen Drew had previously struck out with the bases loaded after Garrett Jones’s bases loaded walk against Brian Matusz, who was pitching in relief of starter Mike Wright. In the first inning, Mark Teixeira doubled to left to score Brett Gardner for the team’s first run of the game. In the second, Gardner hit a sacrifice fly to center to score Gregorius. However, the Yankees should have scored more in the second as they had the bases loaded with no outs. Murphy came through in the clutch for the Yankees as they were 1-11 with runners in scoring position not including his two-run double. Gregorius was 0-3 with RISP, rookie Mason Williams was 0-2 with RISP and the team combined to leave 10 men on base. After not performing well the past three games, the bullpen pitched 4.1 no hit innings in relief of Warren. Chasen Shreve, who got his third win of the season, pitched 1.1 innings to lower his ERA to an impressive 2.05. Justin Wilson, who picked up his ninth hold of the season, had three strikeouts and has now not allowed a run in his last nine appearances (9.0 innings). Wilson and Shreve will likely primarily combine to pitch the eighth inning while Andrew Miller in on the disabled list. Dellin Betances had a strikeout in the ninth (55th strikeout in his 33.1 innings) inning on the way to recording his third save of the season and first as the closer while Miller is on the DL. He has been the best relief pitcher in the league as he has allowed one earned run (0.27 ERA) and has a 0.78 WHIP. “Today was one of those days that Justin Wilson wasn’t going to get hit no matter who was at-bat, and (Dellin) Betances did more of the same,” Murphy added. All three Yankees struck out in the sixth. Alex Rodriguez, who struck out to end the inning, is only five hits away from being the 29th baseball player with 3,000 hits. 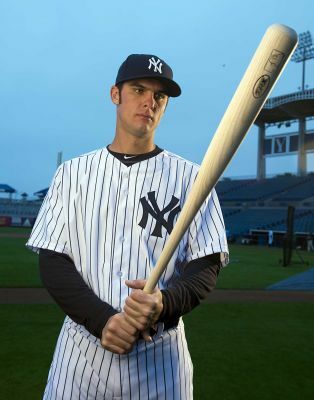 He will likely either hit his 3,000th hit in their upcoming two-game series against the Marlins in Miami (where he grew up) or when they play a two-game series against the Marlins and then a three-game series against the Detroit Tigers from June 17-21 at Yankee Stadium. He also became the second player on record to drive in 2,000 runs (2,001) after his two-run homer on Saturday. That homer during Saturday’s loss was his 666th of his career. Major League Baseball’s official statistician is the Elias Sports Bureau. They only started keeping track of RBIs as a statistic in 1920, otherwise Babe Ruth (2,214) and Cap Anson (2,075) would also officially be in the 2,000 hit club. Monday’s game starts at 7:10 p.m. at Marlins Park, and Masahiro Tanaka will pitch for the first time against the Marlins.